Do you own an Android smartphone with fixed “unexpandable” internal memory space? Do you own an Android smartphone with no microSD expansion slot? The HTC One is a typical Android phone with fixed “unexpandable” internal memory space and a perfect example of the type of smartphone I’m talking about here. Are you running out of internal memory to store files on your Android smartphone? Is your device running slow because you do not have enough internal storage space on your device anymore? Here in this article I want to share with you possible ways to expand your smartphone’s memory using external storage. Some Android phones come in 8GB, 16GB, 32GB and 64GB storage capacity, as you begin to store multimedia files in it, the storage space begins to deplete. You don’t have to lose any files just to create storage space on your device. You can simply use external storage to extend your smartphone’s storage capacity. For Android smartphones there are few ways you can achieve this. So whether your device has an expandable memory slot or not, you can employ these methods to extend your device’s memory. One of the easy ways you can extend your device memory is by using the USB OTG Cable. The USB OTG cable allows you to use external storage devices such as USB flash drive or External hard disk on your Android smartphone. 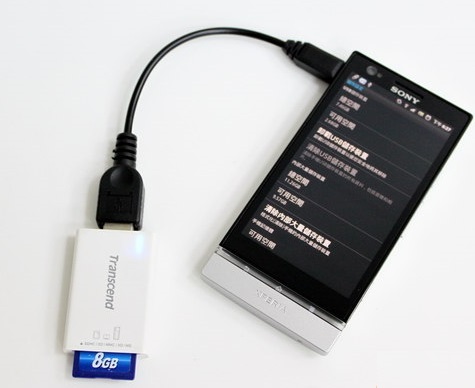 Simply connect the external storage device via the USB OTG cable and access it as an external storage on your device. You can move those heavy files to the external storage to make space on your device for optimal performance. I will recommend ES File Explorer for easy navigation of your file directory. The need to extend Android memory capacity has led to the innovation of wireless storage devices. You can simply refer to it as wireless HDD for Android smartphones. These external wireless storage devices allows you not just to extend your Android smartphone’s storage space but it also provides you the opportunity of walking around with your media library and the capacity to stream from it wirelessly. 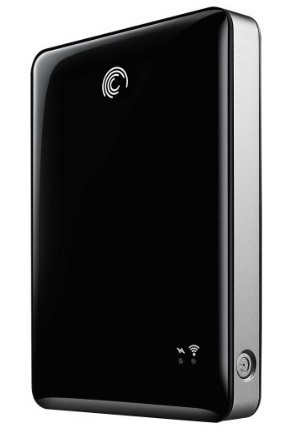 Typical examples of these wireless storage devices include Kingston Wi-Drive 32 GB USB 2.0 Pocket-sized Portable Storage WID/32GBZ and the Seagate GoFlex Satellite Mobile Wireless Storage 500 GB USB 3.0 External Hard Drive. With these external wireless storage devices you can store all your movies on your hard drive and access them wirelessly from your mobile. You can even stream movies from it on your Android smartphone. That way you don’t have to store heavy multimedia files like HD movies on your Android smartphone anymore. You can also extend your Android smartphone’s storage capacity with cloud storage. Most smartphones these days comes with cloud storage apps like Dropbox, SkyDrive, Google Drive, Box etc. These cloud storage apps can help you store files in the cloud and make space on your device. You can find lots of free cloud services out there that offer good storage spaces even for free out there. You can access your files from anywhere anytime without having to download them to your smartphone first. You can use any of the methods I have shared in this article to extend your device’s memory. External storage for Android smartphones provides you with extra storage spaces to store your important files. You don’t have to lose any files anymore just because you need to create space on your device. Thanks for the information Your blog is awesome excellent Tips are here. I have bookmarked your site I will follow you at any point Please keep it up. Thanks for your awesome contribution and compliment. Glad you found Netmediablog interesting. You will definitely find them amazing. When you transfer say 8GB of files to your andriod cloud storage app, will your mobile network not charge you 8GB of data from your smartphone data balance? This is for people that have access to unlimited internet access.